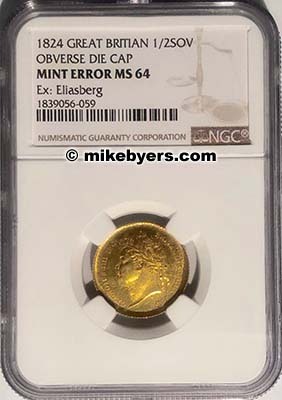 This is the only known obverse die cap struck in gold from any country. 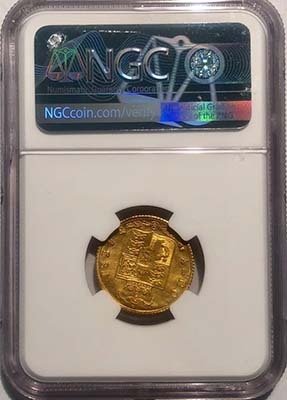 It was certified and authenticated by NGC. It is an English Half Sovereign dated 1824 of King George IV. This happens to be an extremely rare date in the English Half Sovereign series and is also in gem mint state condition. 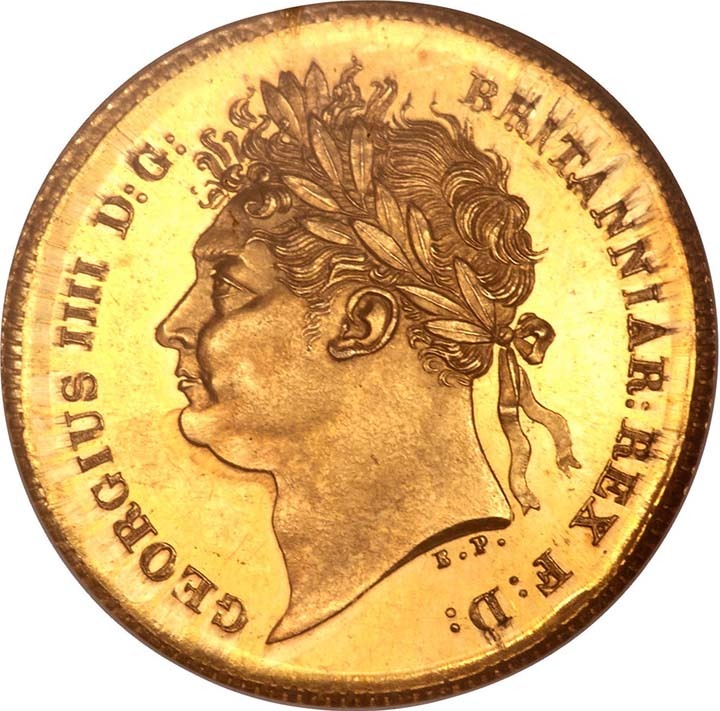 After being struck, this gold coin adhered to the obverse die and became an obverse die cap. It subsequently struck several blank planchets, creating brockages on the obverse of each coin. The reverse design of this die cap expanded with each strike. 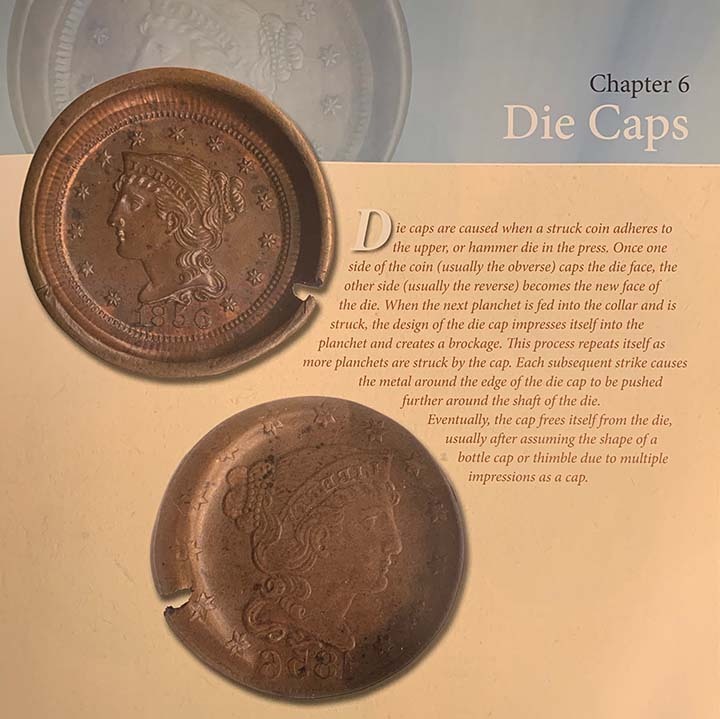 As with any obverse die cap, the shape resembles a thimble or bottle cap depending on the number of strikes. This unique gold obverse die cap has an incredible pedigree. It was originally from the John H. Clapp collection and then subsequently to the estate of Louis E. Eliasberg, Sr. in 1942. 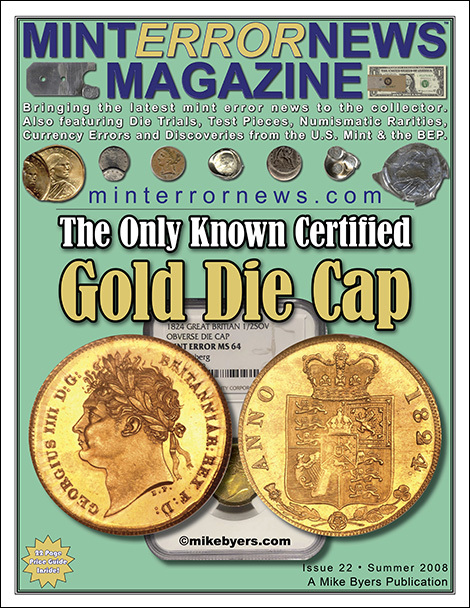 I consulted many of the recognized mint error experts and dealers and none of them had ever heard of another gold die cap. 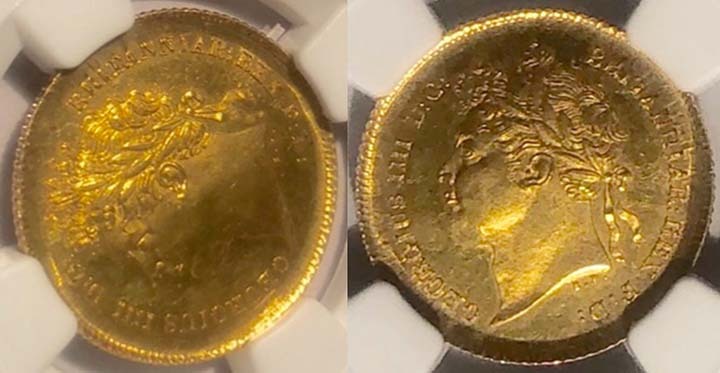 They were surprised that one even existed and thought it was fascinating that it was on such a rare English gold coin from the Louis E. Eliasberg, Sr. collection. 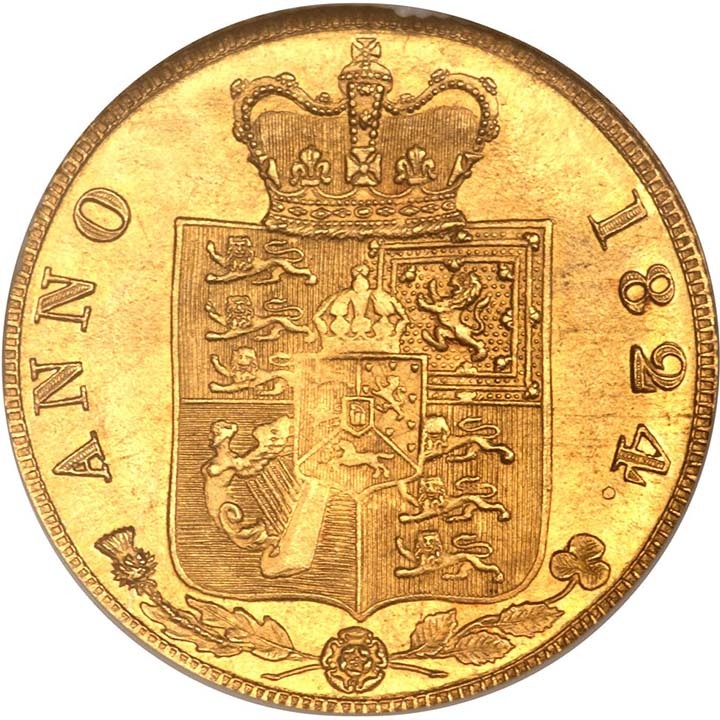 1824 1/2 sovereign. Die cap error. Fr-379, S-3803. MS-64 (NGC). 3.96 grams, 20.70mm. Laureated head to left, legends around / crowned shield, date at sides, branches below. Bright yellow gold with highly reflective fields. An impressive and very rare error, caused when this coin became adhered to the obverse die and struck multiple times, resulting in a high wire rim and deeply rendered obverse details. The reverse appears somewhat flat and wavy, a by-product of this coin acting as a die and stiking one or more brockages. British gold coin errors are highly elusive and avidly sought by error coin specialists. Recently, a mated pair of Canadian proof reverse die caps were discovered and I had the opportunity to purchase them. These two Canadian reverse die caps and this English die cap are the only 3 known gold die caps from any country. This unique obverse die cap is a perfect combination of rarity, pedigree and condition. It belongs in a collection of English gold coins or world mint errors.